Whether consumers are eating a snack on-the-go, a hot meal from the company canteen or simply enjoying a take-away meal, FP1 large hinged meal boxes are the answer to your `food presentation needs`. 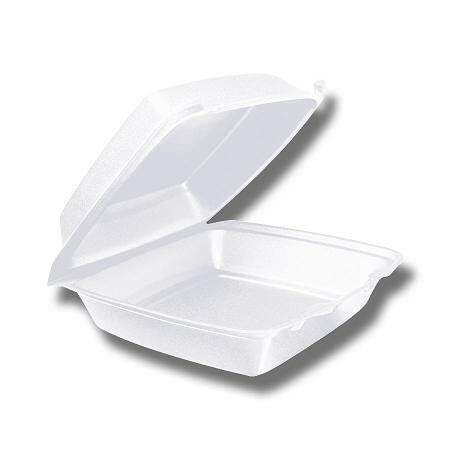 These boxes are designed to keep food warm but reduce the risk of burns due to the thermal qualities of EPS foam. Ideal for a varity of foods these boxes also come complete with a hinged lid. Quick and easy to fill serve. Excellent heat retention ensures your food stays hot for longer. Accurate portion control means that you maximise your profits. Reduce your environmental impact with this low carbon option.